I’m Hilary Weaver-Robb, also known as g33klady on the Internets. 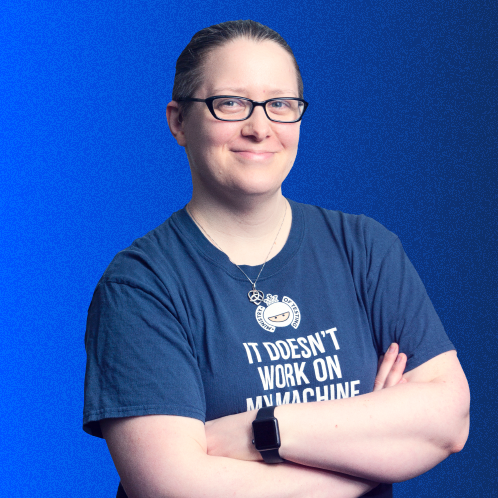 I’m a Software Quality Architect in Detroit, I tweet a lot (@g33klady), and swear a lot, too. I’m passionate about developer/tester relationships, immersed in testing REST services, and speak about those topics at various conferences and user groups. I started Motor City Software Testers in Detroit because I felt that we need to build a testers community in the area. Bringing the passion of testing to the Motor City! I'll be there! You should be, too! One of the many reasons to love #TestBash & @ministryoftest - as a conf attendee or speaker, I'm not just there for them to make more money from sponsors. My info doesn't get sold, & I don't get emails out of the blue from vendors. I was just chatting with the young hostess at dinner and she asked me if I always traveled alone and I said yes because I make all the money and you can’t wait on a man to take you anywhere and she looked at me wide-eyed and smiling and I am pretty sure she is a feminist now.